And to make the premiere more exciting, Netflix along with Globe Telecoms flew in the stars of the show and presented them for a short fan-meet at the SM Megamall Fashion Hall last week. Drew Barrymore's bubbly persona (on and off-screen) perfectly complements that of Timothy Olyphant. 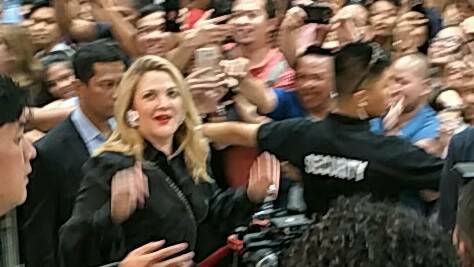 Here's a short video of Drew Barrymore and Timothy Olyphant during the fan-meet at Santa Clarita Diet 2 SM Mega Fashion Hall. 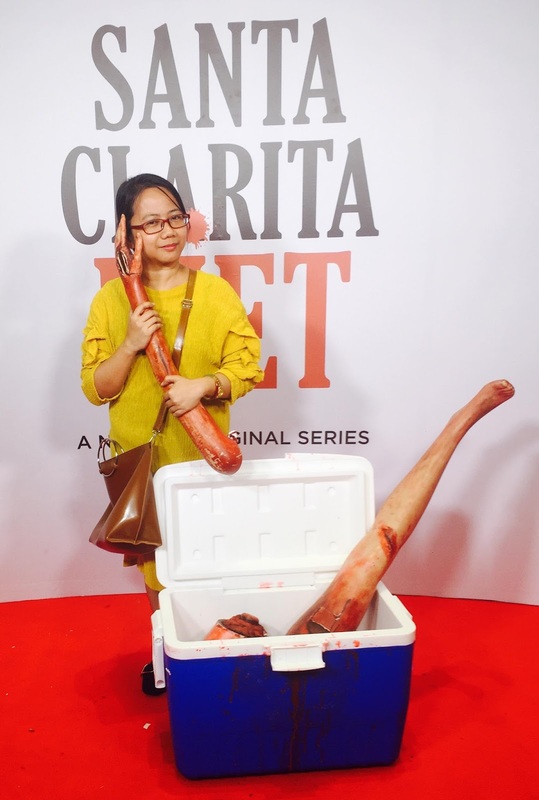 The Season 2 premiere of Santa Clarita Diet takes us back to Santa Clarita, California where Joel and Shiela Hammond resides and works as real-estate brokers. Aside from struggling with Shiela's meat-cravings, the Hammonds also has to deal with nosy neighbors, law enforcers, rebellious daughter, and of course, find a cure for Shiela's illness. 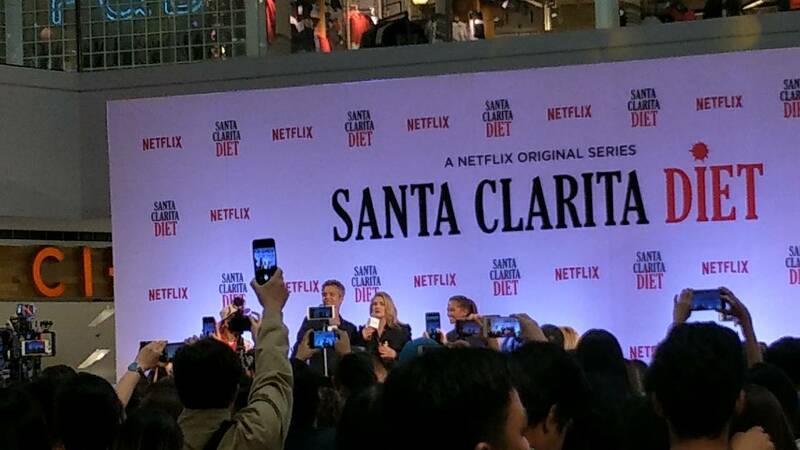 Santa Clarita Diet 2 on Netflix can be enjoyed on Globe Postpaid plans. Globe Postpaid customers can get a 6-months free Netflix with Plan 999 and up. To learn more just visit www.globe.com.ph/content/netflix. So here I am, trying to see if I'll enjoy Santa Clarita Diet or go vegetarian. What do you think?